Sapporo, capital of the mountainous northern Japanese island of Hokkaido, is famous for its beer, skiing and annual Sapporo Snow Festival featuring enormous ice sculptures. 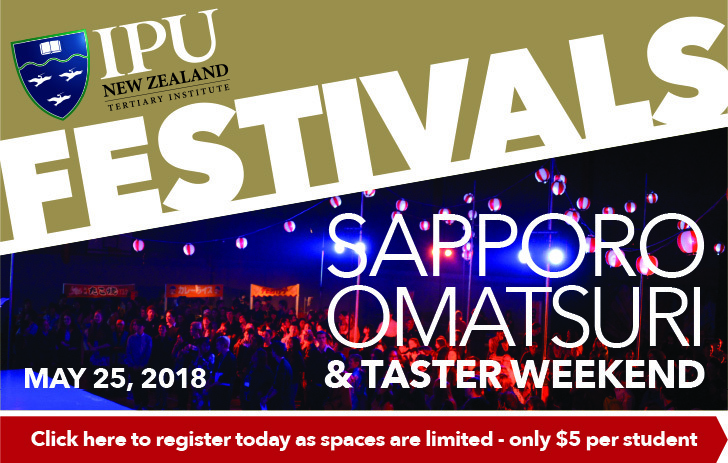 The IPU New Zealand campus comes to life as we host our annual Omatsuri Festival. The delicious Japanese food, activities and atmosphere await you at IPU New Zealand. REGISTER today as spaces are limited - only $5 per student.